How to make a DIY Microwavable Heat Pack! Last minute gift idea: How to Make a DIY Microwavable Heat Pack! is sure to warm more than cold toes this Holiday Season! 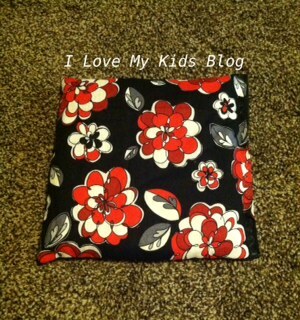 For the first microwavable heat pack I made, I chose to use cotton fabric. Choosing the fabric is where you can really personalize it. 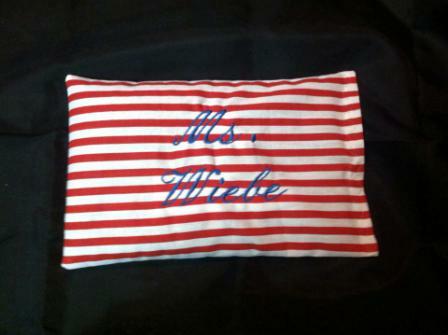 My daughter’s teacher LOVES Cat in the Hat, so I found some red and white striped fabric to use for that gift. The first thing you want to do is sew 3 sides of your fabric with the right sides together to make a “bag” with an opening. 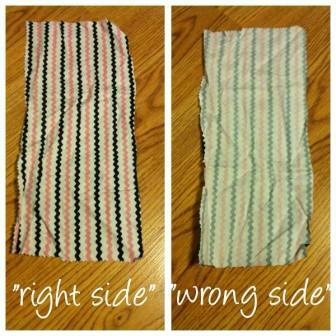 If you aren’t sure what right sides means, it means the prettier side/more decorated side of your fabric. Sometimes it is tricky to tell which side is the “right side” on the fabric below it was quite clear. Maybe you know all this already, but if you are new at sewing, information like this might be helpful ;)! 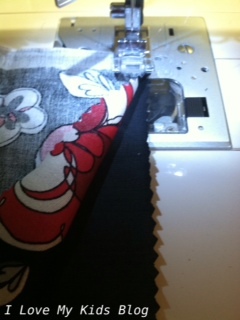 Sewing the right sides together creates a clean and smooth line that won’t fray once it is turned right side out. IF you are making a rectangle heat pack be sure to sew 2 long sides and 1 short side right sides together so you will have a smaller opening to stitch up after the bag has been filled. 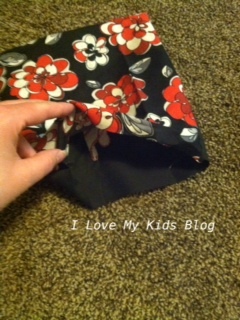 Sew your 3 of your “right sides” together leaving an opening on one side for filling the bag. Once you have sewn 3 sides you need to turn it “right side out”. At this point it will look like a small pillow case. 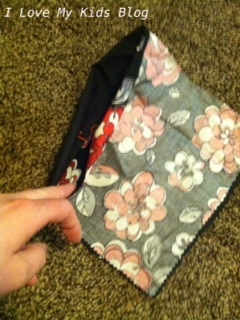 Run your fingers along all of the seams on the inside to make sure there are no gaps anywhere. 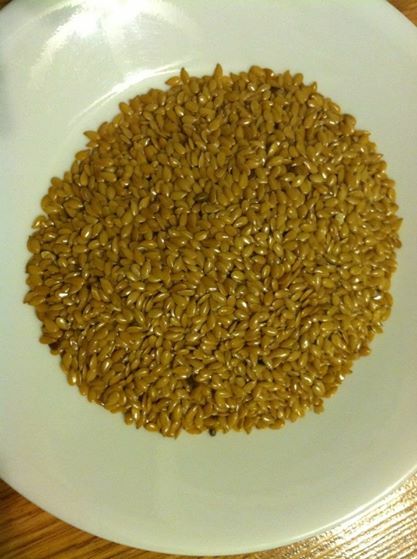 The flax seeds are really small and will escape, so this part is very important! I found one gap in mine so I turned it inside out again, then ran it through my machine one more time to fix the potential problem! If you are wondering, what is the best thing to fill a “rice bag” with I’ve got to say I’ve tried several options and I personally think golden flax seed is the best material to fill a microwavable heat pack with! Here is why: Rice gets so moist when it is heated up and eventually loses it’s ability to retain heat. I also think it smells a bit when heated. Corn, I had a corn bag once and I did like it but it also had a smell to it. 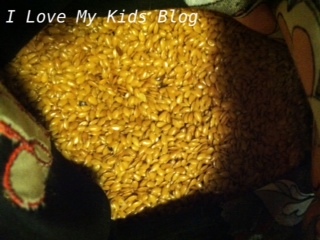 Flax, I find that the flax seed retains it’s heat better than the other two I’ve tried. 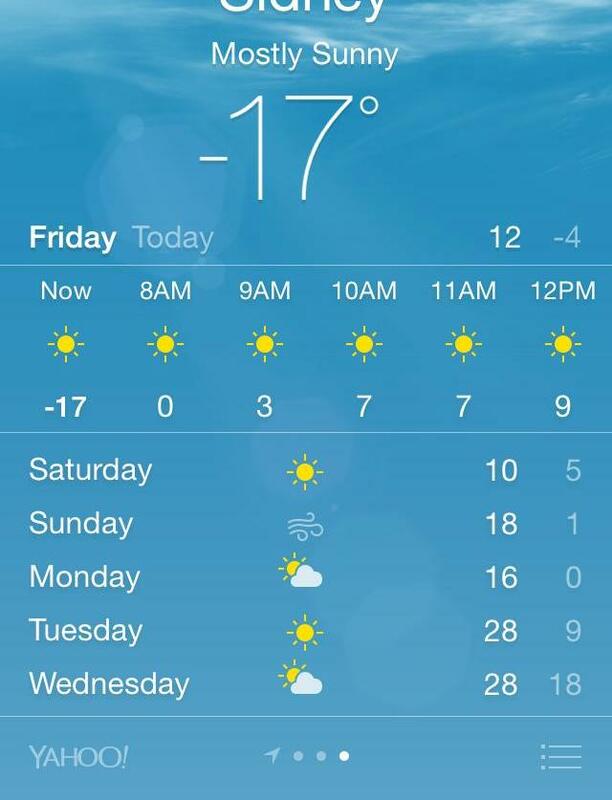 It will stay warm and keep my toes toasty for HOURS at night time under my covers and I can’t smell it! You may be able to find flax seed at your local grocery store. 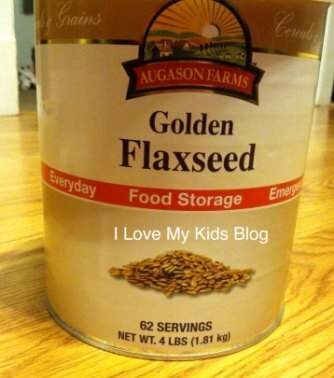 I got my flax seed from Auguson Farms website. I scored a 4lb tin can for just $9! I was able to make 6 flax bags from just one can! Now it is time to fill it! The general rule is to fill the bag about half way full so it can warm up evenly in the microwave. Once it is half full, carefully fold your rough edge over “into” the bag so you will have a nice finished edge and pin it shut. 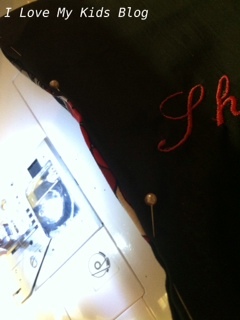 Then sew it along that final side. Take care while doing this, you don’t want flax seeds spilling everywhere. You can see I even had my friend’s name embroidered on this one! That is it! It really takes less than 10 minutes, the microwavable heat pack is inexpensive and so useful! I’ve made 9 of these this year, it has been my go-to gift! To heat up the heat packs, just place them in the microwave for 1-2 minutes or to your desired heat. These are great for hoodies that you wear during football season while you are watching the game and it’s chilly. Or for when you are headed out to run errands and it’s cold. They are great for keeping toes warm in bed. They are even really nice when you have aches or pains! These can also be used as a cold pack if you store in the freezer! What are your favorite last minute gift ideas? 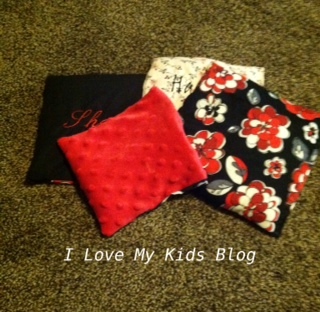 If you make a microwavable heat pack post a picture to our Facebook page! I want to see it! « Last minute Christmas gift for your neighbors! DIY Martinelli’s glitter bottle with FREE PRINTABLE! we have a lot of these around here and I have given several as gifts. They do come in very handy! I love this idea, but I don’t have a sewing machine. I do sew some things by hand, but stitching a seam tight enough to hold flax seeds would be really time consuming. Might make a good project, though for after Christmas when things aren’t quite as hectic. Thanks for the simple directions. How easy is this?! I love it and the use of flaxseed is unique. Thanks for a great idea! This is exactly what I have been looking for to make for myself! Thanks so much for the step by step!